My 6 year old is obsessed with Halloween and anything scary. 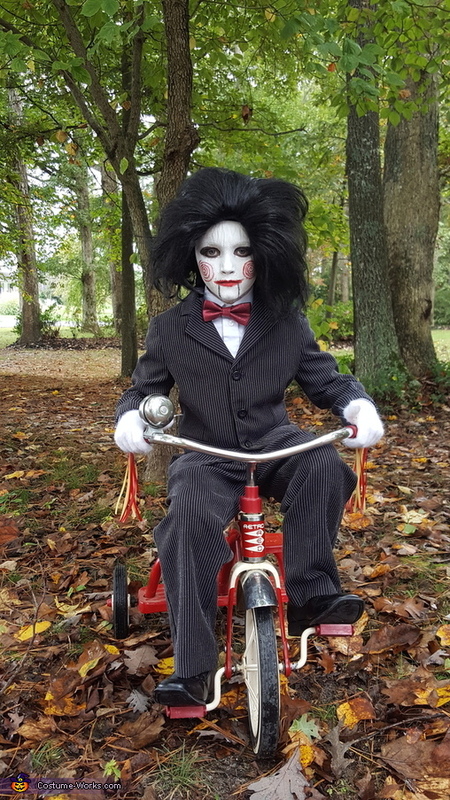 He decided he wanted to be Jigsaw this year. We actually got everything we needes for this costume at a secon hand store, except for the wig, which we had from a previous costume. He took it super serious the entire night, not cracking a smile or creepily askimg people, Wanna play a game?